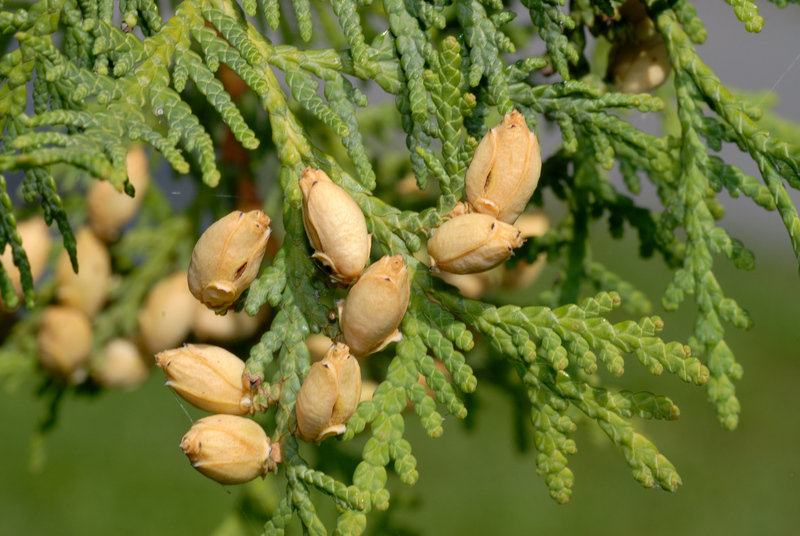 Eastern white cedar (Thuja occidentalis). 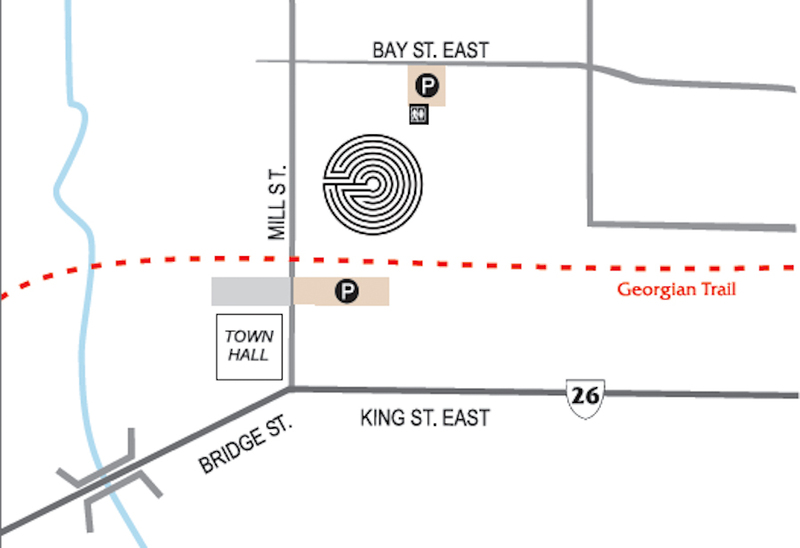 Saturday, June 21 marks the official opening of the Cedar Grove Labyrinth of Thornbury located on what was formerly the Bayview Park Campground off the Georgian Trail directly north of Piper’s Sports Bar & Grill. “We are so excited to celebrate this special day with members of the community as well as visitors. 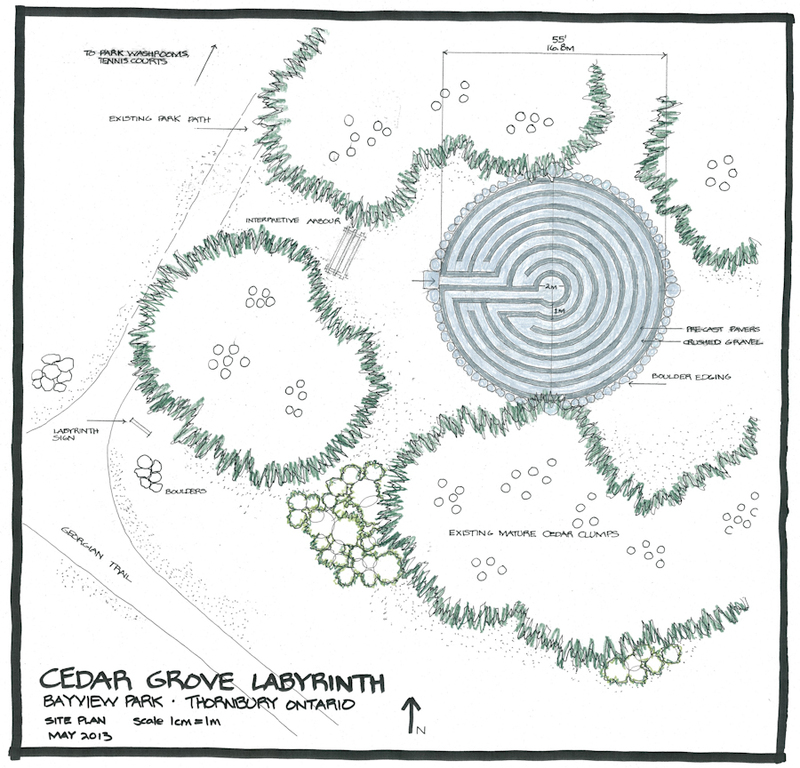 After starting this project two and a half years ago, we are delighted that the Cedar Grove Labyrinth is in place for all to enjoy,” says Teresa Matamoros, Chair of the Blue Mountain Women of 12 who are driving this project. The brainchild of a group of community-minded women wishing to make a difference in the Blue Mountains, the 59-foot diameter labyrinth is intended to be a space that is welcoming, aesthetically pleasing to the eye and brings community together naturally. Labyrinths have a 3,000 year history, and their modern uses are many: in hospitals, to relieve stress and aid in rehabilitation, staff, recovering patients and their visitors walk labyrinths. Community groups and retreat centres use labyrinths for meditation, reflection, and exercise. School labyrinths can serve as an activity zone for students. They can stimulate creative thinking and problem solving, and act as a tool for conflict resolution. The official opening begins at 11:30 a.m. with Deputy Mayor Duncan McKinley cutting the cedar rope. The celebration will include music, reflections of the project from members of the Blue Mountain Women of 12, acknowledgments to all donors along with an invitation to walk the labyrinth, and lots of activities for kids including rock painting and bubble-blowing. All are welcome and encouraged to bring a picnic lunch. The celebration will be complete at 2:00 p.m.